Over the past few years I have increasingly heard about a firearms training school called Front Sight located near Las Vegas. 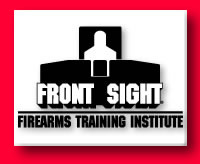 The first few times I heard of the Front Sight Firearms Training Institute, I didn’t think too much about it. So what if there’s another training school out there? How much different could it be from all the other schools that offer to train you to shoot? Still, I kept running into folks who had attended the school, and they had great things to say about it. I decided to check it out. Going to the Front Sight website at www.frontsight.com, I was pretty impressed with their content. So far so good. I contacted the school’s owner and founder, Dr. Ignatius Piazza and asked him a few questions. I was pretty impressed with the answers. It turns out that Front Sight is not your average shooting school. In fact, Front Sight seems to be much more than just a school with a shooting range — it’s an entire philosophy. Dr Piazza seems to be driven by far more than just making a profit. Whatever it is, Front Sight just doesn’t fit into the preconceived image I had of a gun school. Over the past few decades, I have attended NRA hunter safety classes, Boy Scout firing ranges, and private shooting ranges. Front Sight is unlike anything I’ve ever encountered. They refuse to stay inside the box. Yes, it’s a shooting school, and yes, it’s also a shooting range complex, but far different than you can imagine. It’s also a resort where you can take the whole family. They have adult programs, kids programs, handgun training, shotgun training, rifle training and even training with edged weapons, hand-to-hand defense, and defensive driving for celebrity chauffeurs. They have a program for news media, and a program for celebrities. Who would have believed that Hollywood movie types would ever consider enrolling in a firearms school? More than anything else, Front Sight defies description. I requested and received a DVD that explains the Front Sight concept. As near as I can tell, Dr. Piazza and his professional staff tossed out all of the prior preconceptions about gun training and started from ground zero. A host of longtime veterans of distinguished military units and police agencies from around the world are raving about the unique nature of the Front Sight experience. I’m sure that no person in their right mind ever wants to have to use a gun on another person. However, if your spouse, or children or grandchildren were in mortal danger from some deranged maniac, would you have the ability to protect them? I suspect that’s what Front Sight is all about. I suspect that Front Sight exists to provide ordinary, decent people the skills they need to protect their loved ones. All the other stuff is all well and good. Recreation, family bonding, target shooting, and hunting are all swell, but if you can’t protect your family in a life and death situation then you’ve failed as a husband, wife, parent or grandparent. That’s one test I don’t want to fail.